Kia ora koutou katoa. Along with a spot of rain we’ve had some truly perfect days. Plenty of people have been enoying the beach and the water, along with the blue skies and still warm sunshine. 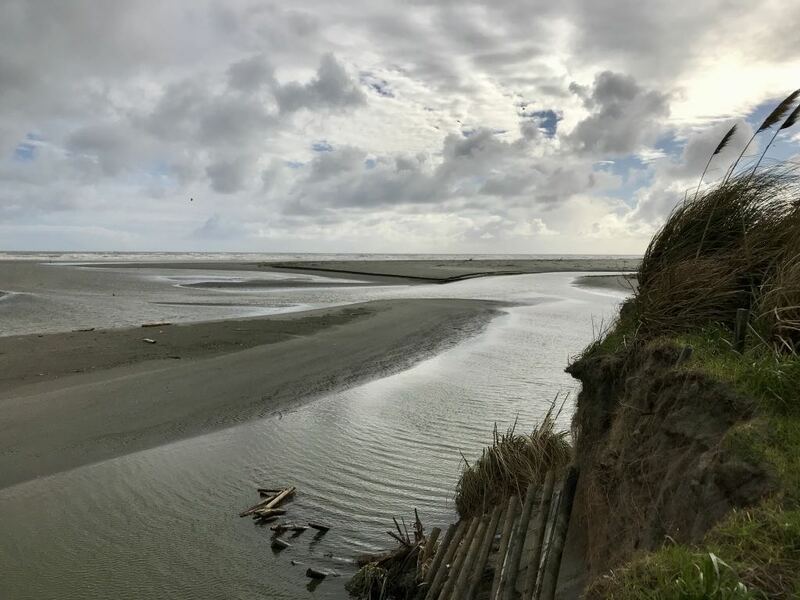 It’s been a quiet month, but there are two major items to report: the erosion study and work to be done at the all-purpose beach access off Manga Pirau Street. At the WBRA Committee meeting on Saturday, 13 April 2019 Ramon Strong from the Horizons Regional Council presented the findings from the Tonkin and Taylor report on the river mouth and inlet. Summary: it’s a complex situation. Ramon Strong aims to hold a public meeting, probably in the first week of June 2019. Watch for further details. There is good news for those who like to take their vehicles or horses onto the beach. The workshops are funded by Creative NZ’s Creative Communities Fund, administered by Horowhenua District Council. 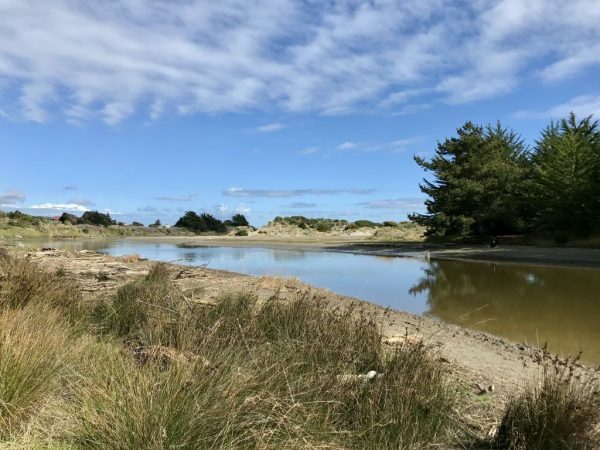 They are part of the broader Waikawa Stream Community Catchment Project which aims to improve water quality, which has just begun in the Waikawa catchment. It is being led by the New Zealand Landcare Trust, and brings together a wide range of community stakeholders. The next workshop will be based on building rafts from driftwood. It will be held at the Hank Edwards Reserve, Waikawa Beach on Easter Saturday, 20 April , 1pm to 3pm. McGregor said RSVPs were appreciated but not compulsory. “Don’t let that stop you turning up on the day for some fun,” she said. All ages are welcome, however children must be accompanied by an adult. The events are weather dependent and will be rescheduled if necessary. For further information or to book a spot, email kristy.mcgregor@mitchelldaysh.co.nz or phone 021 191 3231. The river and driftwood by Hank Edwards Reserve. Easter is coming early to Waikawa Blueberries. We will have the annual Easter Egg hunt this Saturday 13th April from 10 am. Children under the age of 13 can hunt for eggs among the blueberries from 10 am until midday. We still have a lot of berries, but they may not last until Easter because it is so late this year. Source: Waikawa Blueberries Facebook Page. Waikawa Blueberries is at: 123 Waikawa Beach Road, Manakau. Waikawa Beach erosion protection or a buffer zone as in Paekakariki? This is interesting, especially since it’s just down the coast from us and we’re suffering some similar issues: The Greater Wellington Regional Council is proposing putting in a 40m erosion buffer zone at the southern end of Queen Elizabeth Park. The council is proposing putting in a 40m erosion buffer zone at the southern end of Queen Elizabeth Park in Paekakariki which would mean relocating buildings, including the surf club, to a safer area. A 2010 report indicated that Queen Elizabeth Park could lose up to 40m of land due to coastal erosion from climate change or severe weather events at the park. Over the last few years, there have been a number of significant weather events that have undermined the dunes at the park, and washed away tracks and a bridge. Greater Wellington Regional Council’s manager of parks Amanda Cox said the council concluded it needed to put in a plan of retreat from the coast. Ms Cox said the council would also be planting out the 40m buffer zone with dunes, so there was a more resilient fore-dune system which would withstand the effects from adverse weather and would allow natural marine processes to take place. Judy Lawrence from Victoria University’s Climate Change Research Institute researches climate change science in public policy and decision making. … “It is really interesting because it provides a number of new benefits for the community in creating new spaces, new trails, new beach access, open spaces and so forth,” she said. It’s worth reading the whole item which gives more detail and mentions certain legal requirements. When you look at how much land has been lost around the access at the end of Manga Pirau Street in the last decade and what it might cost to deal with that erosion in the face of rising sea levels it seems only prudent to ask about a similar ‘buffer zone’ approach for Waikawa Beach. Bank retention near the vehicle entrance 05 February 2018. The bank was gone by 25 June 2018. 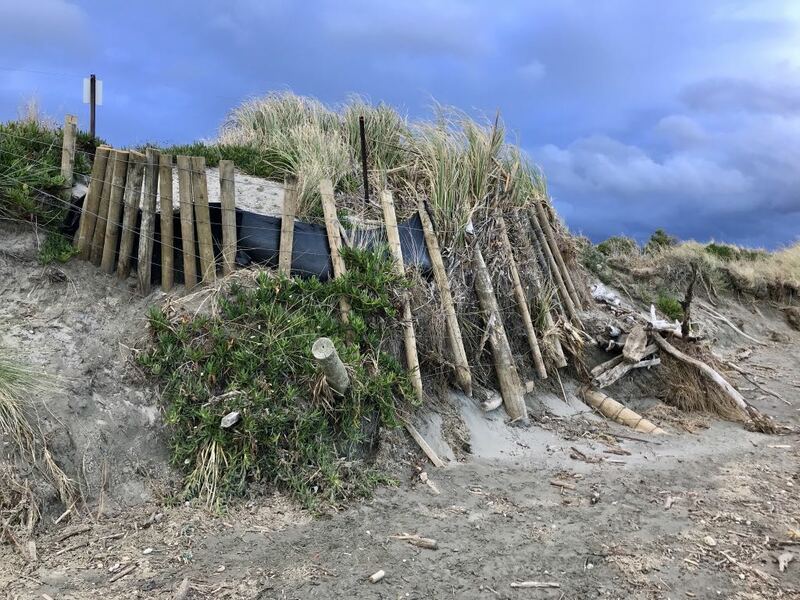 Author AdminPosted on 11 April 2019 Categories Environment2 Comments on Waikawa Beach erosion protection or a buffer zone as in Paekakariki?